Yes, more on this critical topic. 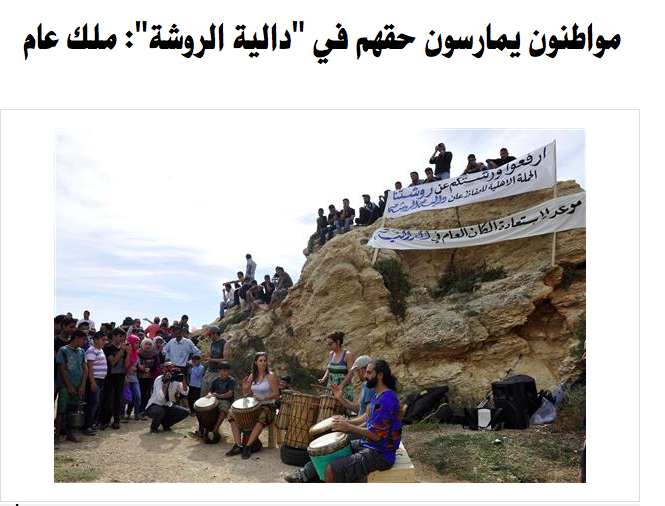 Last Sunday, a festival happened on the Dalieh, a festival to reclaim the space! Just as Habib Battah reminded us, the struggle is not just for our right to access the sea, our right to access the Raouche, our right to have a sea-view — our rights as citizens, and the struggle is not just for the livelihoods of the fishermen; the struggle is also to protect our marine life, to protect the sea, to protect the other animals. Habib Battah wrote an excellent photographic piece entitled: the ‘Caves and Pools of Daleih: Endangered?” Check it out. And the struggle continues. Imagine with the government wants to do. See the picture below. Access to the Raouche would be blocked: even visual access would be blocked. Imagine going to Beirut and not being to see the Raouche! Remember: The streets of the city are not for anyone, the streets of the city are for all the people. The corniche is not for anyone, the corniche is for all the people. We are the people! 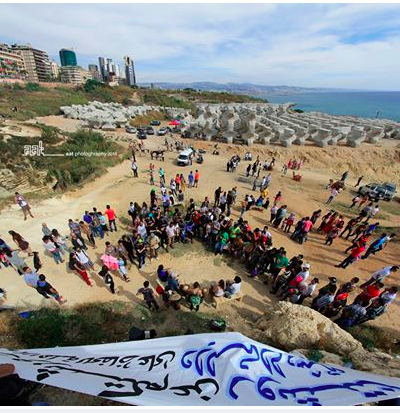 The Lebanese government should realize that citizens have their rights in public spaces. 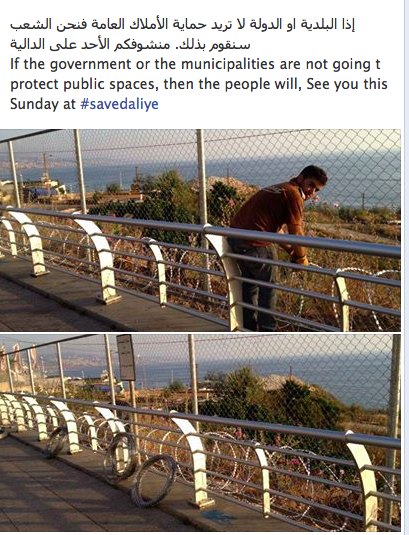 Maybe the Dalieh is the only left space for Lebanese people to enjoy for FREE the sea and other related activities. I personally believe that the mistake was done before by governments that allowed the privatization of most coastal zones in Lebanon. 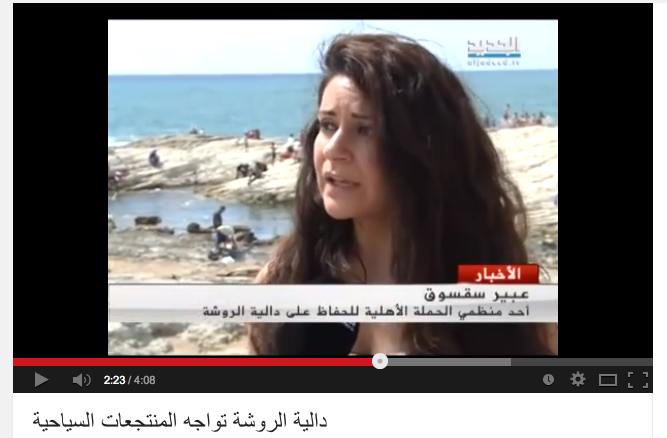 Hopefully Dalieh will remain free of any capital power and people will enjoy the sea and the sun as they used to. Even invading our own public space? The government must realize how important Dalieh is for lebanese. It is one of our rights to enjoy the sea over there and have a great time in the sun. So why change that? Public space must remain public and no one has the right to change that! this is a very important issue that is being mentioned . we have to react fast. not everything is for sale , and giving up common wealth for the benefit of an individual is unacceptable . This is one of the last decent public places left for any Lebanese and if we don’t react we’ll have soon to pay an entrance to access what is ours by nature . Soon it is going to be more accessible by foreigner rather than us . Lebanon by definition was for all Lebanese right ?? so what happened?? soon they’ll stop your access to oxygen this would be fun to watch so react!!! قبالة صخرة الروشة في بيروت تقع منطقة الدالية, منذ تسعينيات القرن الماضي اشترت شركات عقارية الجزء الأكبر منها ما ولد مشهد مزدوج بين فريقين, شركات خاصة تسعى لاقامة مشاريع سياحية يقابلها مواطنون يتمسكون بالمكان كمرفق عام. وقد غصبت الشركات الخاصة سياجا حول الدالية ليعزلعا عن بحيرة الروشة , و قد أقدم رواد الدالية و ساكنيها الى الاحتجاج في نهاية كل أسبوع, يمارسون علاقتهم بالدالية ولقد شاركهم الحملة العديد من الجمعيات والناشطين في قطار حملتهم المستمرة تحت شعار “إرفعوا ورشتكم عن روشتنا” وكان المشهد وجع كبير للأهالي والزوار. ورفع المواطنون الصوت للحفاظ على الدالية ليس للسياحة فحسب بل أيضا كثروة بيئية تاريخية و ملتقى اجتماعي و جماعي و ملجئ للعاجزين عن دفع الدخول الباهظ الى المنتجعات السياحية. و قد طالب الأهالي والناشطين التجار و محافظ بيروت و رئيس البلدية بعدم الموافقة على أي مشروع بالدالية تحت مسمى قانون…. نرجو من الدولة و المسؤولين الوقوف بوجه الرأس ماليين وعدم سرقة البلد شيئا فشيئا. It makes me feel glad and proud to see Lebanese stand up for their right to save Dalieh and hopefully their voice will be heard! The Lebanese have had it with privatizing public spaces and giving privilege of access only to tourists who have to pay. Raouche is a pure Lebanese symbol and it is irrational to hinder the Lebanese from accessing or viewing it. I also believe that we have done enough harm to the sea and privatizing Dalieh and causing more harm to the marine life nearby is should be prohibited. The more articles I read, the more disappointed and shocked I get. Seriously? Even the Raouche Rocks? I still can’t believe what I just read. How can the government take our right of contemplating the beautiful view at the Raouche? People go there to do sport, ride bikes, eat ice cream, and just stare at the beautiful view. It’s their right to do so. They cannot privatize it. They are not just taking the right of people to have fun for free, but also they are affecting people’s means of living. What are the fishermen going to do? What about the guides who take people to the cave? There’s already not many opportunities and jobs for the lebanese people, and the few ones they have they want to take them away. This is ridiculous, unacceptable, and very selfish. I thought that the lebanese government reached the maximum level of ignorance, they are surprising me how they are being able to ultra pass it day by day. The beach is part of the nature therefore it’s our right to have free access to it. As if it wasn’t enough for the most of the coast be privatized by these resorts, one of the few remaining places people can go swim for free will have forbidden access. It is indifferent for the high social class since they have easy access to anything they want, but what about the low class? Don’t they have the right to enjoy the beach, the sun, like any other normal person? This is really sad. Thanks God there are still some people who care about nature and are trying their best to fight for their rights. I hope they continue fighting for it and can save Dalieh. 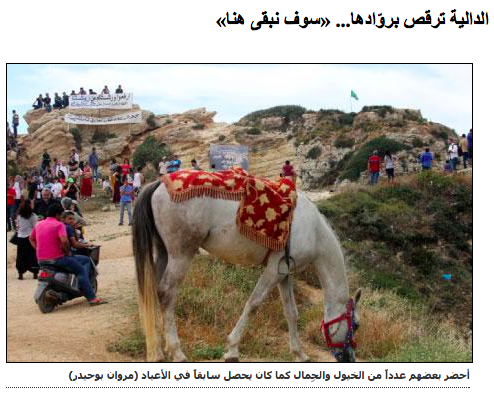 As mentioned by the interviewed people on New TV, if they block access to Dalieh, they won’t go to the beach anymore, do barbecues, swim, ride horses, and ”breathe”. This is so unfair, it’s people’s right to have fun. As if it wasn’t enough, whatever they construct with these huge concrete blocks, will definitely have enormous impact on the marine life. Once again they will stupidly affect lebanese fauna. Every one has the right of enjoying the sun, and the beach. It’s their right and no one should forbid them for that, not even the government. How can they be so selfish? As if it wasn’t enough for the lebanese people who struggle to make a living in a country with no jobs and full of corruption. Rich people don’t care about what the government does, since they have easy access for anything they need. What about the poor people? Don’t they have the right of having fun? They don’t have enough money to afford spending the weekend at a resort. One of the very few free places available is gonna be taken away from them. Children won’t be able to swim anymore, and families won’t have the chance to gather and have a barbecue. Fishermen will lose they jobs and the tourist guides as well. This is so unfair. The government is so selfish. Thanks God there are strong lebanese people who don’t give up and will keep on fighting for their rights. If they had support from the rest of the population, they surely would win. We need to support them and show the government that it cannot privatize something that is ours. 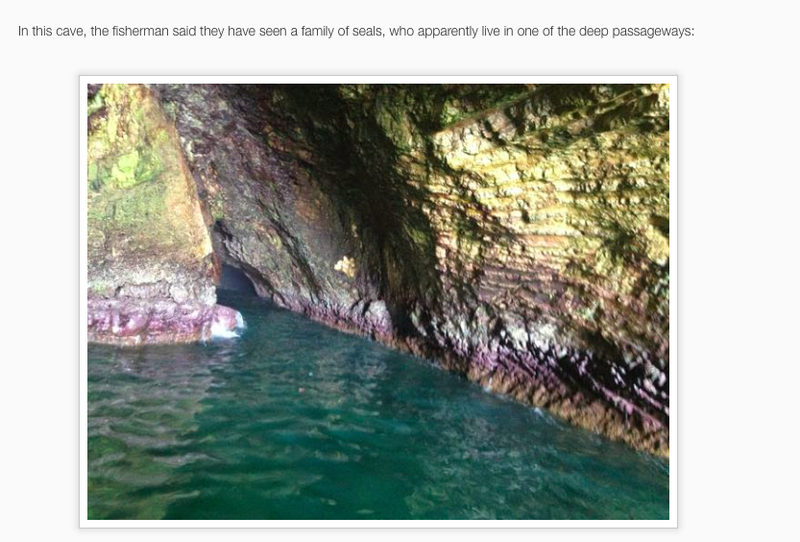 They can’t forbid us from seeing the beautiful view of the Raouche, or not go into the caves by boats. We need to take action. It is about time that we realize that we have no government; e have the illusions of one. Taking actions into our own hands is becoming a must because the corruption is too deep to clean immediately. 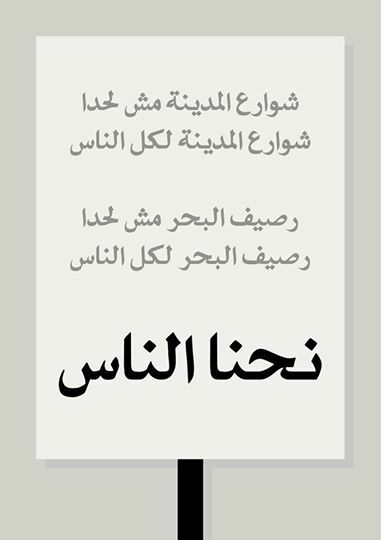 Meanwhile, we, as true Lebanese citizens, should make the change.